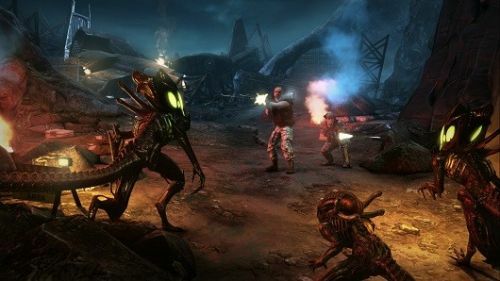 Aliens: Colonial Marines has received a massive patch on the PC bringing it up to date AND past the recently patched console version of the game. The four player co-op shooter was released to mostly negative reviews due to buggy gameplay, poor AI, and unimpressive visuals. While we gave the game a 3 out of 5 for co-op play, it definitely wasn't worth the $60. It's a good thing it's down to $35 already. The latest patch for the game weighs in at a hefty 4GB in size, with the bulk of that being new textures and possibly higher resolution models and fix animations of characters. There's also supposed to be improvements in AI, lighting, UI, and co-op play. With all these fixes it sounds like you're getting a totally new game! The patch will auto download via Steam - though because of the size - you may have to enable an option in Steam to have it actually transfer.